A couple of months ago we put on our first public event. It was a Comedy & Dinner Show with Pop-Up Restaurant Buck & Honey’s. The comics did an amazing job, and our guest graciously tolerated the awkward and raunchy jokes (thank you!) Thus, our first public event seemed to be a success! We have been navigating through the opening and running of a new business; at times it feels like a super slow process to get these mid-week events up and running. This time we are ECSTATIC to be hosting a Wollersheim & Ishnala wine and dinner pairing (menu below)! This dinner event has a locally-sourced theme – which we love! Stay tuned for upcoming events by checking out our “Takk for Maten” Dinner Schedule! Join us at Vennebu Hill for another Pop-Up Restaurant Dinner Event! 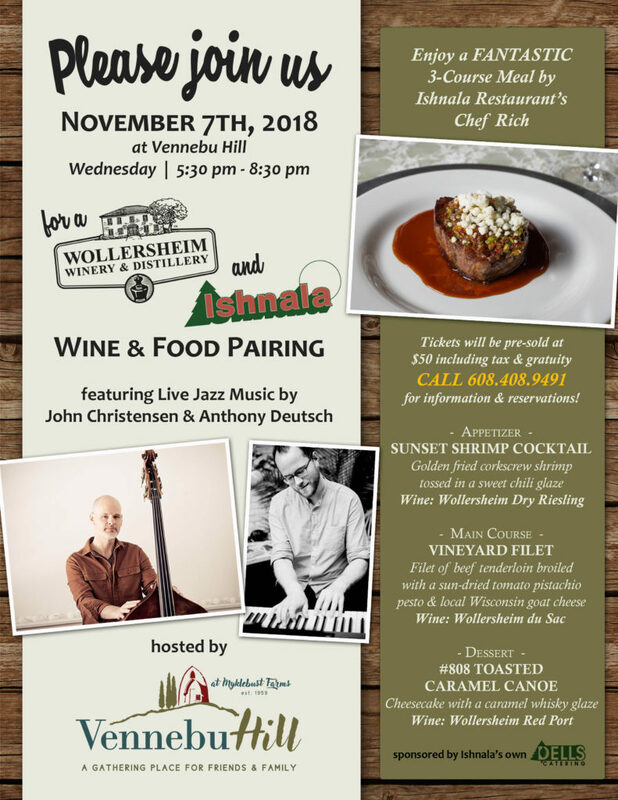 This time we are featuring the local and highly esteemed Ishnala Supper Club and the nearby Wollersheim Winery Vineyard & Winery. 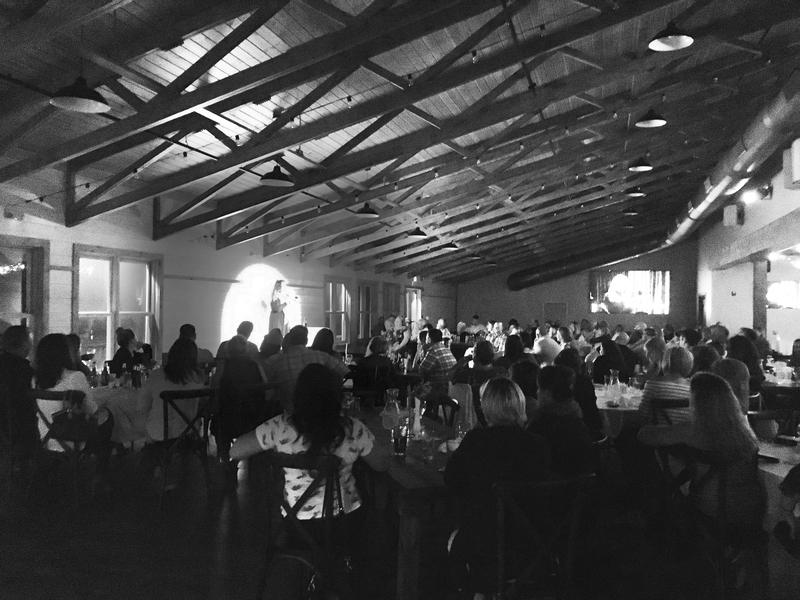 We are so excited to host this event and will not only be offering a wonderful fall-friendly, locally-inspired three-course meal but also providing live music. Tickets are $50 including tax and gratuity. Please call Katie at 608.408.9491 or Bryant at 779.207.5977 for information and reservations. Email vennebuhill@gmail.com with the subject “Nov 7 Wine Dinner” for more information also.